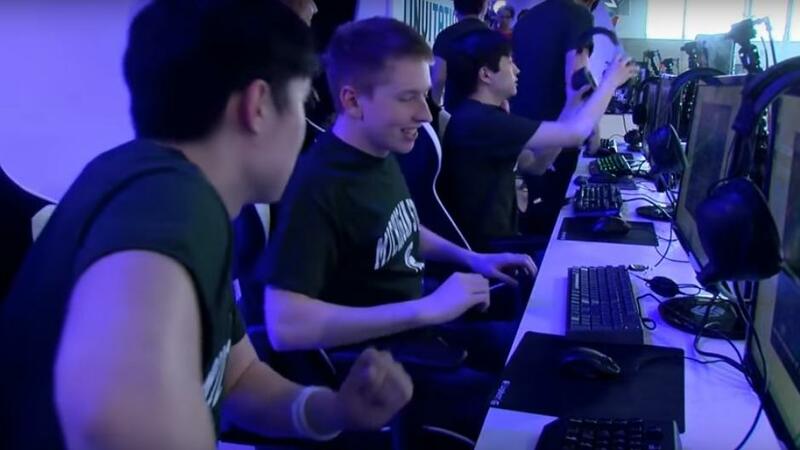 A team from MSU played League of Legends against a team from Ohio State University last year. Connor McDougall (center) played on MSU's League of Legends team against Ohio State last year. This year, he's team captain. Televised sports come in all sorts of forms. This time of year, basketball dominates sports broadcasting, but there’s hockey, too, and spring training baseball is getting started. At the Big Ten Network, they’re adding something different to the lineup: League of Legends. Teams from conference schools are competing right now in the popular video game, and the championship will be televised at the end of March. Connor McDougall is an MSU sophomore computer science major from Okemos and captain of MSU’s League of Legends team. He says the end goal of the game is to "get to the enemy base and destroy their nexus, which is basically their home base. You destroy that, and you win, but getting to that point is where the game really is." Last year, MSU squared off against a team from Ohio State University in a match that was streamed on the Big Ten Network’s online service BTN To Go, complete with play-by-play commentary. E-sports have become both competitive and popular with viewers. McDougall watches the professionals for fun and to improve his own game. One of those pros, Hai Lam, came out of MSU. After streaming that Michigan State-Ohio State game last year, the Big Ten Network decided to involve more Big Ten schools. They’ve assembled a regular season schedule and a post-season playoff, and some of those matches can be watched online on Monday nights. The championship game will be on your Big Ten Network TV channel March 27th. Spokesperson Erin Harvago says BTN is the first conference TV network to carry E-sports, and they don’t know what kind of audience to expect. "For us, this is a pilot year," she explains. "It's something that we're testing out and seeing what is our best long-term E-sports strategy. 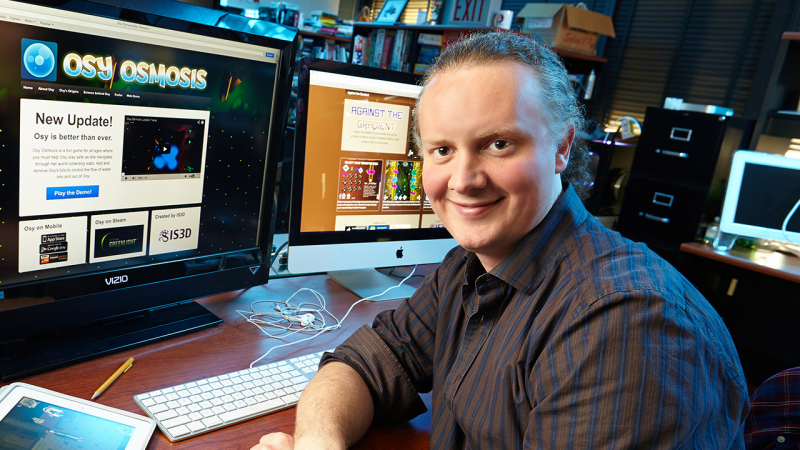 "There are a lot of E-sports fans out there," Harvago continues. "You can see it by the numbers of people that sell out Madison Square Garden or the Staples Center within minutes." Connor McDougall of the MSU League of Legends team foresees a day when E-games are sanctioned collegiate sports, complete with recruiting and scholarships. He hopes that will one day include Michigan State. If enough people play and enough people watch, the age of varsity E-sports teams at schools around the country could become a reality. 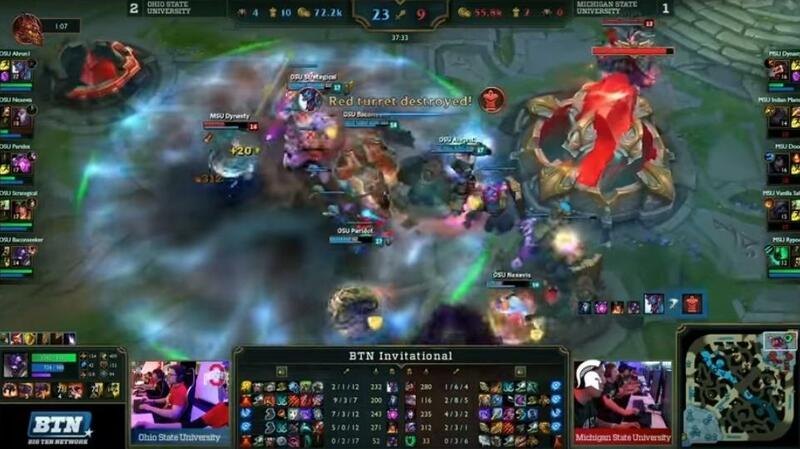 The telecast of the Big Ten League of Legends title game might just be the first step down that path.